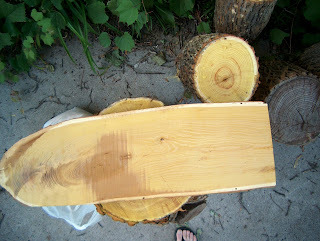 Here's a top view of the Osage Orange slab. The smaller logs will be debarked and chipped for dyestuffs. I'm back in the game for yellow dyebaths some of this will be for sale.